Microsoft announced months ago that they would soon be rolling out new options of Office 365 specifically for small to mediums sized businesses (SMBs). They pushed back the release date saying that they wanted to wait for Office 2016 to launch first. Well Office 2016 came out back in September, but Office 365 SMBs hadn’t rolled out yet. Until now that is! Now Microsoft is offering three distinct versions of Office 365 designed for SMBs. 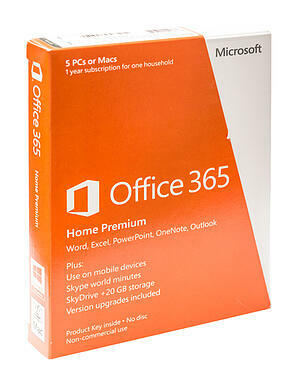 With a cap of 300 users, these versions of Office 365 are ideal for small and medium sized businesses with small to medium sized budgets as they offer the power of Microsoft Office, email, and collaboration tools at a low price point. Office 365 is a great tool to use alongside your Amazon Workspaces setup. If you're currently assessing your software and technology systems and looking to modernize--specifically while using Office 365--this post is a great introduction to expected costs. There are three different options for businesses to choose from that are Office 365 Business Essentials, Office 365 Business, and Office 365 Business Premium. Although each offers different options they all include TB of file storage and file sharing. Skype for Business is offered with Office 365 Business Essentials and Office 365 Business Premium. Skype for Business replaced Microsoft Lync earlier this year and provides users with high-definition video conferencing which in conjunction with the collaboration tools in Microsoft Office 365 allow teams to work on projects concurrently locally in the office or across the globe. Employees can instant message each other through Skype for quick questions to avoid sending one-liner emails back and forth which clog up inboxes. These new versions of Office 365 all include “Professional Digital Storytelling Tools,” which is Microsoft’s fancy way of describing its new program, Microsoft Office Sway. Sway takes the presentation and reporting tools from apps like Word and PowerPoint and adds an interactive level. Digital storytelling tools allow users to add video to presentations and interactive graphs and charts. You can also use Sway to develop interactive, visually appealing newsletters. Although Sway is not a tool to build websites, you can create personal story pages and other website-like presentations that live on the web and are accessible via a web browser. Files can by synced for use offline (just in case you know, the conference room you’re presenting in doesn’t have an internet connection). To learn more about modernizing your IT infrastructure and software roll-outs for your team, talk to a member of the Privo team today.